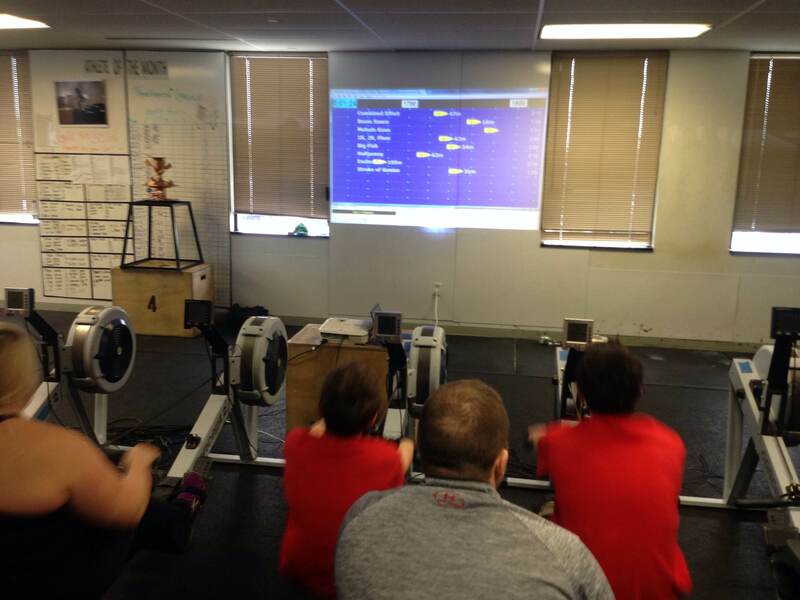 The Virtual Boats projected on the wall at the Renegade Rowing League – Checkout the RRL 1k taking place in May! High Intensity is your ability to push your boundaries a little further everyday. If you never test your limits you’ll never know what you’ve got. Todays Rowing WOD calls for Race Pace and is a test of your ability to consistently perform under pressure. Set the monitor for Intervals Variable and input 1k, 5min rest, 1k, 5min rest, 500m, 3min rest, 500m, 3min rest, 250m, 1min30sec rest, 250m, 1min30sec rest. Pick the 500m Split and Stroke Rating you plan to hold as your race pace for your next 2k. For each distance execute that pace (split and SR) as consistently as possible. When you repeat a distance try to be even more consistent and imagine each stroke takes you closer to a PR. Remember, the goal is to row at race pace for every piece. Focus on your split and stroke rate and row at high intensity with good form.